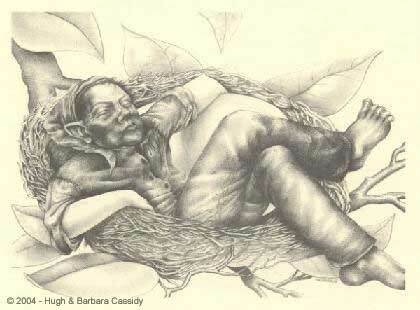 This whimsical drawing entitled "Boy in the Nest" was created by Eva Cassidy in 1981 for a High School art project. Notice the elfin ears. 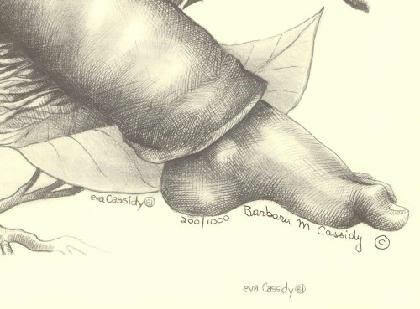 The original pencil & ink sketch hangs in the home of her parents, Hugh and Barbara Cassidy. 18" x 24" LIMITED EDITION of 1,000, signed by Eva's mother, Barbara Cassidy. A "Certificate of Authenticity" will be provided for each print. NOTE: if you did not receive a "Certificate of Authenticity" with a previous purchase, please send us a message on the Contact page.